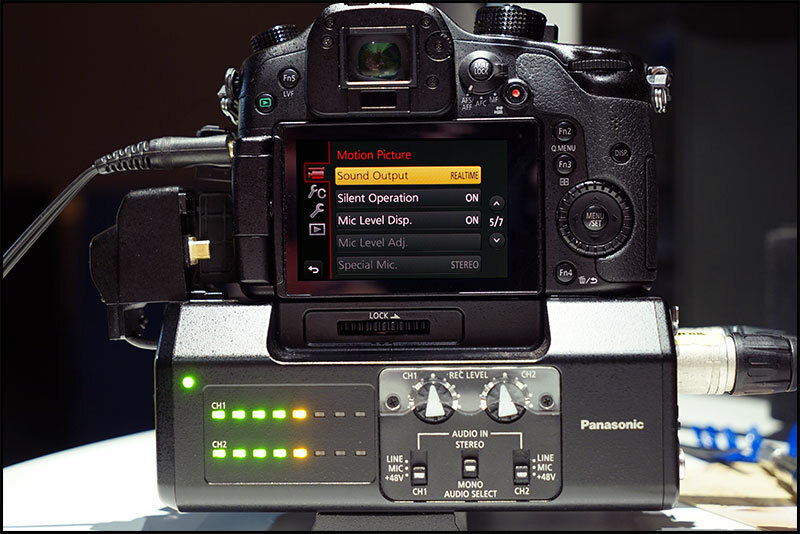 HD Warrior » Blog Archiv » Interesting freak workaround for GH4/YAGH owners on the sound monitoring delay using the YAGH. Interesting freak workaround for GH4/YAGH owners on the sound monitoring delay using the YAGH. 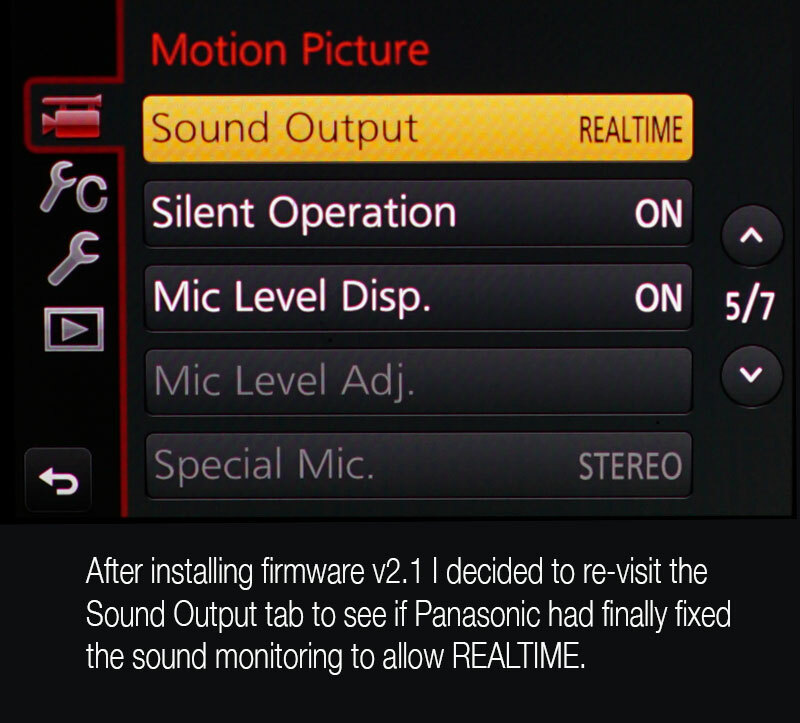 After installing FW 2.1 on my Panasonic GH4 I decided to re-visit the Sound Output tab to see if Panasonic had resolved the RECSOUND greyed out menu bar but sadly it has not been addressed, leaving many of us with sound monitoring that is slightly out of sync with what you are recording…very annoying. I had a terrible time getting the .bin software to work till I got a tip to download it from another site which had the Macintosh option, after installing the software I hunted down the Sound Output bar on page 5 to discover to my delight it had been fixed…REALTIME. So I took it through to my edit suite to listen to my wife on the phone to her mother and amazingly …no sound delay…yee ha. I left the room and noticed the micro HDMI socket was disconnected and re attached it. After another break I decided to photograph my discovery and write this blog post…what the f…the Sound Output bar was greyed out again and RECSOUND was the only option. It took a further hour to discover what was going on, if you attach the micro HDMI socket it does not allow you to choose REALTIME sound monitoring while if you pull it out and monitor your pictures via SDI you get REALTIME monitoring with no sound delay via the YAGH…now thats a tip worth sharing ! This is obviously a bug that Panasonic needs to address the next time they decide to update the GH4 firmware. Did you actually hook up an ddi monitor to see if it worked? From what I understand all video is outputted through the HDMI? HDW : HDMI and SDI, I have an SDI monitor…but its sold and gone to a good home. Still a snafu on SDI. As Joshua eluded to all video ( HDMI and SDI) come out of the HDMI port on the camera. There is no signal on our BM video assist via SDI without connecting the YAGH to the HDMI port and that’s when the menu gets greyed out. Even worse the audio recorded both in the camera and externally are very distorted and unusable! It has a terrible lag delay echo??? Has anyone found the fix for this?